A couple of weeks ago I had the pleasure of meeting the super-cool Lauren O’Nizzle while spending a day with some of Toronto’s biggest bloggers as part of a media event for Ford where I work. Turns out that besides running a popular Blog, she’s a community manager for Glaceau vitaminwater. 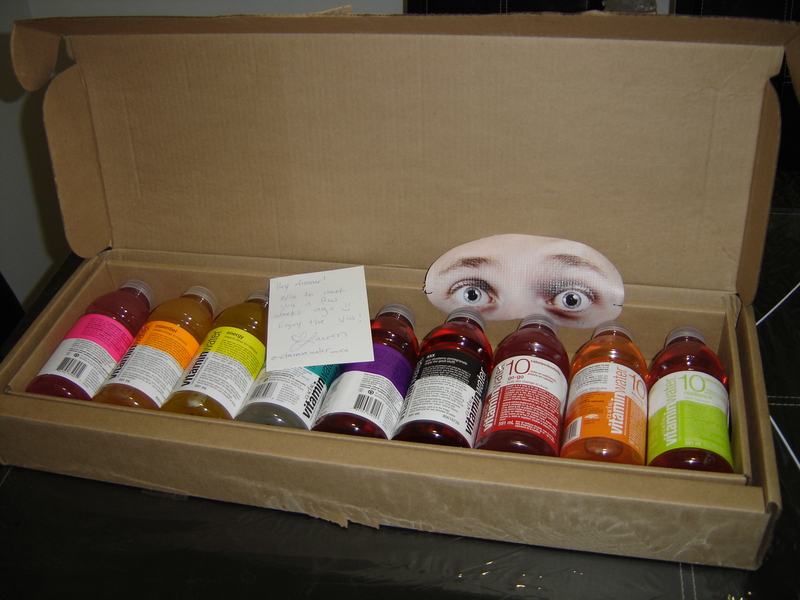 I told her how much I love the taste of vitaminwater and she sent over a whole case of it for me to try out. 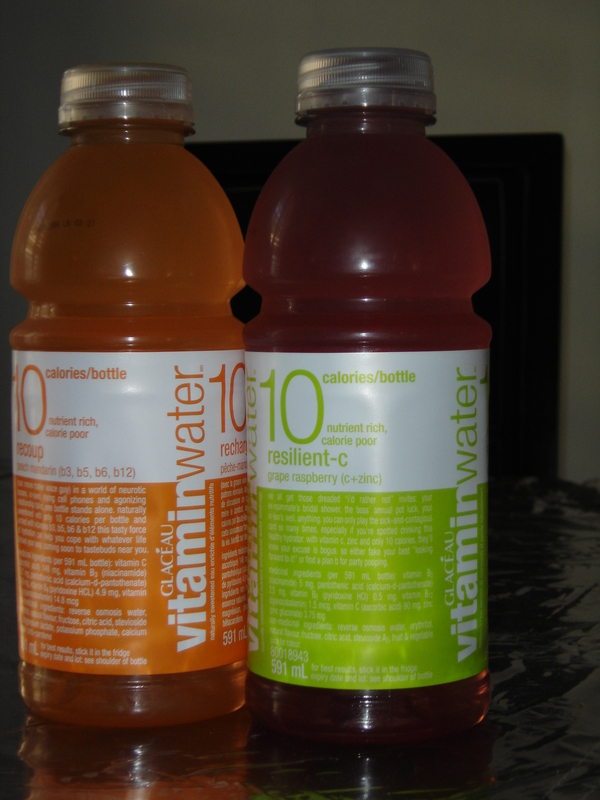 To my surprise there’s a new type of vitaminwater out there that only has 10 calories per 591 ml bottle. That’s a huge benefit! I’ve been cutting calories recently ahead of my yearly physical (ugh) by dropping sodas and juice which have more than 100 calories per glass. With vitaminwater 10, you have almost no excess calories plus the added goodness of a whole slew of vitamins. It’s going to be a staple at my home bbq’s from now on … I don’t drink since I’m Muslim and neither do most of my friends and family. Our usual drinks at parties are vast amounts of soda’s and juice but this is bound to become a new staple for us once more people hear about it! Taking into account the variety of flavors and the nutritional value of vitamins without a caloric hit, I am going to go out on a limb and declare it my favorite low calorie drink out there besides water. Standard Disclaimer: I was not paid nor asked to write this product review and all opinions are my own.